With a large fleet of equipment, no job is too large. When you work in commercial building and contracting, it pays to have a trusted source for concrete pumping that can help you improve results and maximize productivity. 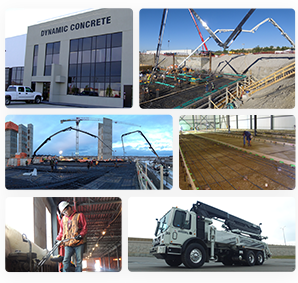 Dynamic Concrete Pumping, Inc. is the leader among concrete pumping companies in Calgary, Alberta and beyond. Our professional team provides expert concrete services in Calgary, Edmonton, and the rest of Alberta, and calls on over 40 years of experience to deliver safe, efficient and affordable solutions to help meet your toughest challenges and improve your bottom line. We are a full-service company offering commercial concrete pumping for all different sizes and types of projects. Our highly trained and certified team of operators and skilled laborers are up to date with the latest industry techniques and best-practices to ensure a smooth, hassle-free experience. 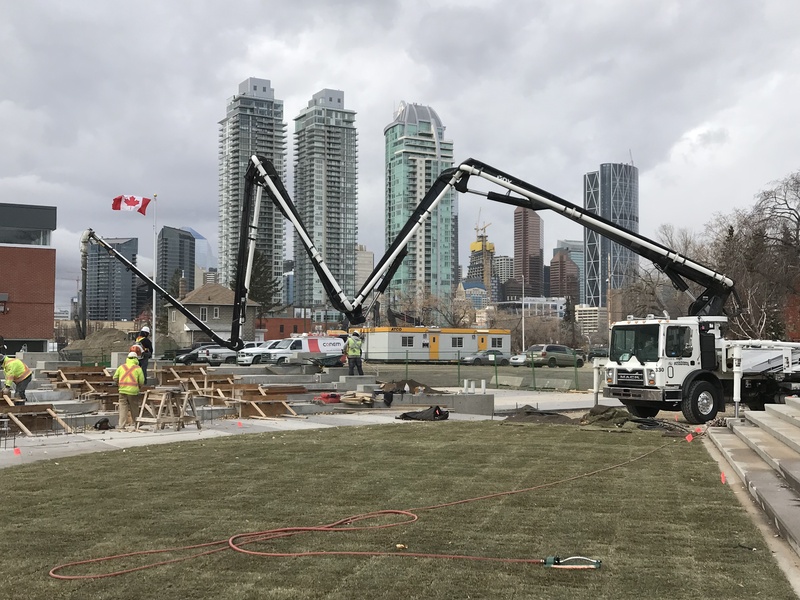 When you choose us for concrete pumping in Edmonton, Calgary and throughout Canada, you benefit from a partner with a proven track record who is dedicated to your success. When considering commercial concrete contractors in Alberta, Calgary and the surrounding areas, it’s critical to choose a company with advanced capabilities. 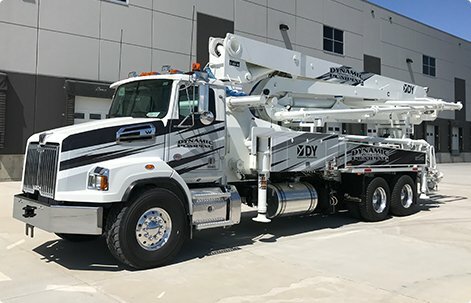 Dynamic Concrete Pumping offers an extensive fleet of pumping equipment to meet your budgetary and application requirements efficiently. 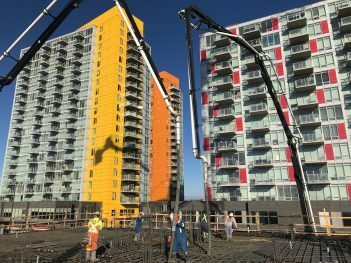 Whether you’re searching for a commercial concrete pumping solution capable of pouring concrete on high-rise construction projects or a unit with a six-section boom and continuous swing pedestal for increased maneuverability, we have you covered. Our commercial concrete flooring pumps include 33m – 57m models and a variety of different configurations. We also offer truck-mounted line pumps delivering exceptional versatility and high-volume capabilities. Our knowledgeable representatives will assist in analyzing your needs to identify the concrete pumping equipment designed to get the job done right. 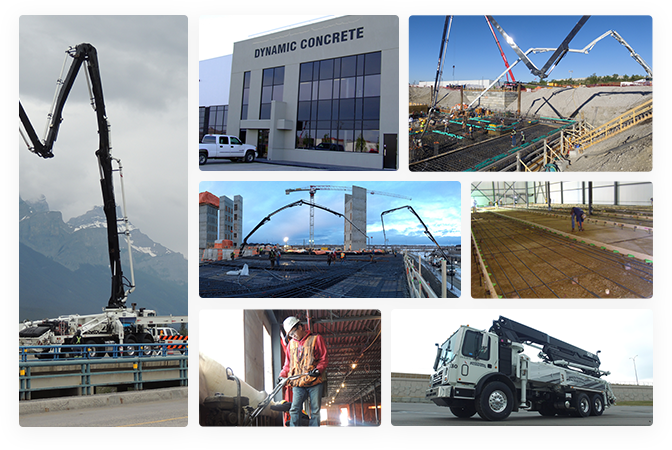 Dynamic Concrete Pumping Inc. is a full service concrete pumping and placing company. Dynamic Concrete provides placing and finishing services for commercial and industrial types of construction. We have a vast experience and have completed many F Min applications. Dynamic Concrete has the largest fleet of Soff Cut saws in Western Alberta. Dynamic Concrete is your source for concrete grinding and polishing. Dynamic Concrete Pumping has all of the equipment your job requires in one convenient place. We maintain high-quality machines and offer commercial concrete work that gets your work done right. In addition to an extensive inventory of line pumps, boom pumps and separate placing booms, we use Somero 240 Laser Screeds and a broad range of other solutions depending on the specifications of the work you need. We are a COR certified provider since 2005 with complete OH+S Safety regulations and requirements and a NCSO on staff to exceed safety requirements on job sites. Trusting Dynamic Concrete Pumping to complete your commercial concrete work is an efficient way to improve flexibility while reducing long-term operating costs. Instead of purchasing equipment and trying to finish the projects yourself, you’ll be working with professionals who have extensive experience in the industry and access to the leading equipment on the market. Plus, when we bring our equipment to complete your work, it means you don’t have to worry about storing and maintaining your own, and you can rest assured the job will get done right.